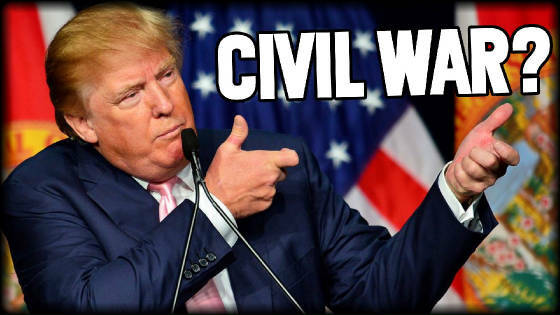 Report: Obama Planning Civil War To Stop Trump! - Infowars.com video. 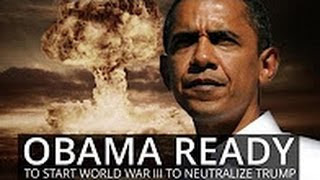 "Obama and his globalist pals will stop at nothing to defeat Trump." We need to keep praying like crazy, and be about our Lord's business, while he taries. I do agree with the video that President Trump needs to immediately, "get out in front of this thing." I also mention the unthinkable, that Trump is acting the part, and is complicit in this thing all along. Boy, I sure hope not! We live in the computer age - computers and their programs and data are ALWAYS created. We have at least two huge computers in our bodies, the genetic system and the immume system. It is a FACT we are CREATED, but almost all of our schools continually insult God, preaching the lie of Evolution. Continual probing by biotech explorers plainly shows this is an exquisitly created world. God plainly, deliberately, created animals and people for straight sexual relations. But, even Trump is allows the gay thing. GOD DOES NOT ALLOW IT!!! God is a STRAIGHT MALE! The Bible, Jesus' person, and teachings, plainly teach GOD IS THE FATHER, THAT IS A STRAIGHT MALE. God deliberately made men homo to himself, and women hetero to himself. THE UNISEX MODE OF OUR CULTURE IS NOT OK AT ALL, WITH HIM! MANHOOD AND WOMANHOOD HAVE LIMITS ACCORDING TO HIS PURPOSE AND DESIGN. GOD IS NOT POLITICALLY CORRECT. HE TOLERATES OUR WAYWARDNESS, UP TO A POINT, BUT IT DISGUSTS HIM! HE IS NOT SANTA CLAUS! WE SHOULD BE DEEPLY GRATEFUL FOR THE RESPITE HE IS GIVING US, AND MAKE THE MOST OF IT.